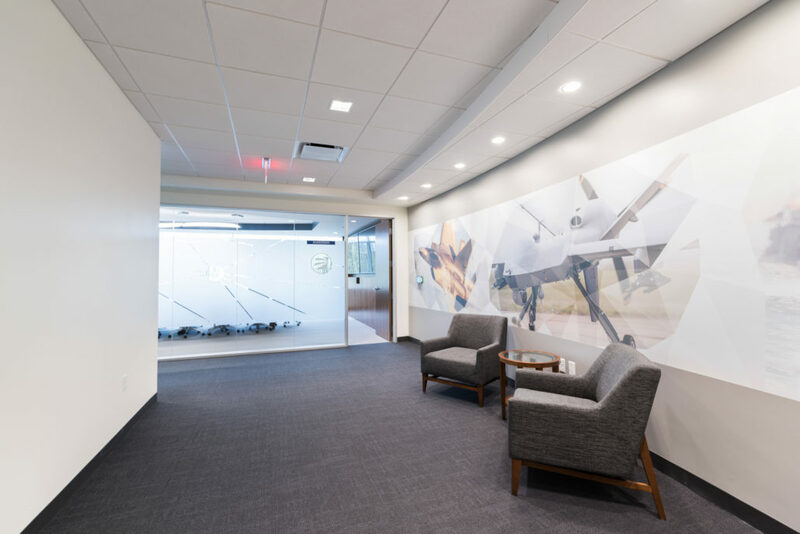 Mercury Systems selected VC to provide guidance for their move to their new 125,000 SF facility with the mutual goal to create a contemporary space that truly emphasized their corporate brand. 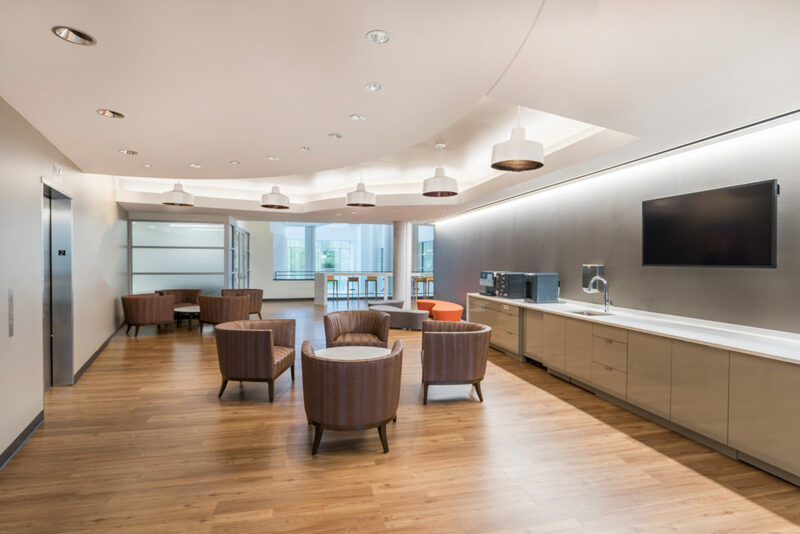 Mercury sought after a space that encompassed the right look and feel by using imagery and functionality that spoke on behalf of their craft. For Mercury, this meant conceptualizing and incorporating architectural features that reflected both stability and security, while remaining innovative and high-tech. VC assisted Mercury in introducing a new way of working by implementing an open and collaborative concept floor plan with few offices as well as providing amenities such as central cafes, a main cafeteria and a fitness center to create a comfortable environment that promoted well-being and encouraged idea sharing. 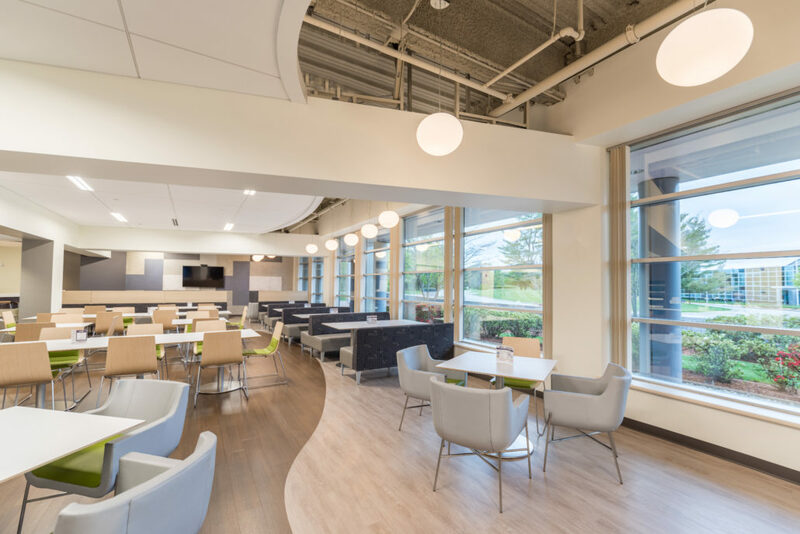 In the cafeteria, the use of natural colors and materials to bring the outside in create a feeling of warmth and comfort and give employees a space to relax and socialize. 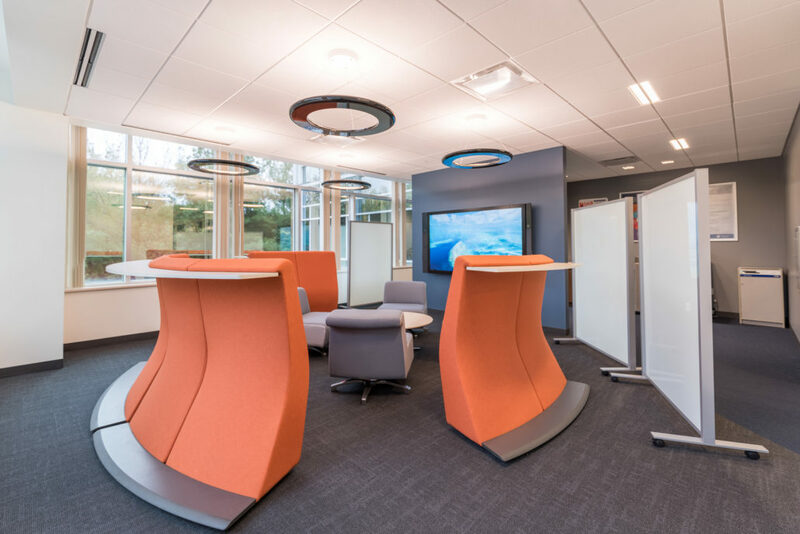 Overall, Mercury desired an environment that truly show cased their brand – secure, trusted, and integrated. VC accomplished this task by integrating not only the personality of the firm into the design but physically translating their logo and branding colors into 3-dimensional forms.